Annie Ramage is a fitness model and online training coach from the UK. She’s a role model for a large number of internet fans, who are inspired by Annie’s awesome figure. However, Annie wasn’t always a picture of health like today. Although she was healthy and active growing up, everything changed after she turned 12. After visiting a doctor, Annie was diagnosed with anemia. From there on, every day became a struggle for Annie. She felt weak and lethargic, which led her to abandon the sports and activities she played. For the next several years, Annie barely coped with her debilitating condition. Still, no matter how hard things got at times, she never gave up. Eventually, Annie pushed herself to start training with weights, along with adopting a more nutritious diet. She hoped that this would help her overcome her illness – and it did. Not only was Annie looking and feeling better than ever, but she also built a successful online business out of her passion for fitness, and became an inspiration for people worldwide. 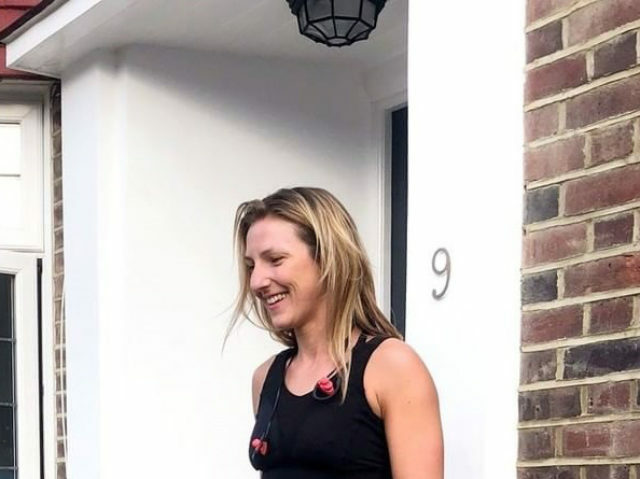 Born and raised in Birmingham, UK, Annie Ramage was active since her early youth, thanks to her health-conscious parents. She played various sports, trained in the gym, and was in great health. However, things changed for the worse when Annie turned 12. It was at this point she was told by her doctor she had low iron levels. This led Annie to develop anemia; a serious condition, which left her feeling tired and exhausted all the time. Needless to say, Annie could no longer train as she once used to, due to anemia. She stopped playing sports and going to the gym. Instead, she spent most days lying in bed – not having the energy to do anything. She also received medication from the doctor to prevent her condition from getting worse. As a result of anemia, Annie didn’t only feel weak physically but mentally too. She became depressed about her situation but knew something needed to change. In 2017, after doing some research, Annie forced herself to lift weights, along with adding nutrient-rich foods to her diet. She hoped that this would help her get back on her feet, literally. The first few months of training in the gym were the hardest for Annie. She felt extremely lethargic and didn’t have any motivation to lift weights. But she pushed through the pain. It turned out that Annie was correct – by lifting weights, she slowly began feeling stronger. In addition, the healthy and nourishing foods Annie ate helped balance her blood iron levels. Her energy was also increasing by the day. Over the following months, Annie kept training hard, noticing more and more improvements in her health. Eventually, she reached a tipping point where she finally felt like her old self again. And, her body became much stronger and fitter in the process. The challenges Annie went through inspired her to help others who might be going through the same situation. 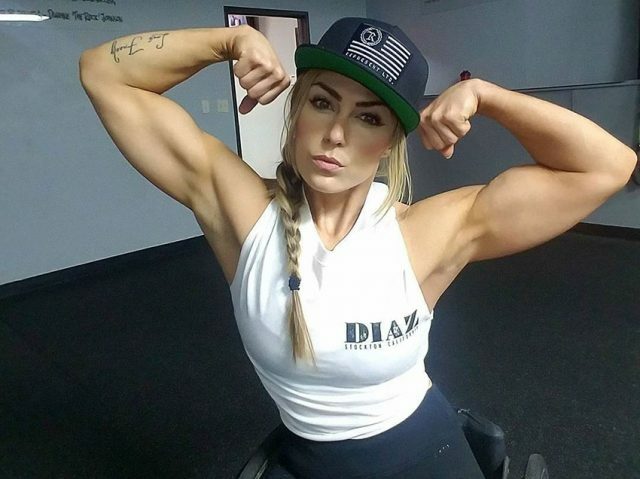 She created an online profile where she started posting motivational fitness content. In time, people started commenting on her pictures. They thanked Annie for her uplifting quotes and pictures. It was at this point, her rise to success began. Over the following months, Annie built a name for herself from scratch, by continually posting pictures and videos of her workouts and meal plans. To this day, she continues to inspire everyone with her quotes, such as this one; “My advice would be to always believe in yourself and tell yourself you can do it, setting goals each week is the key to being successful. Back when she fought anemia, Annie was going to the gym two times per week at most. Her energy levels were so low that she couldn’t train for a long time. These days though, Annie trains in the gym five times per week. Her workouts are much more intense and last an hour or longer. Annie loves training her glutes; she does them three times per week. In addition, Annie does fasted cardio every morning. This means she’ll train on an empty stomach before breakfast, which helps her burn any excess fat on her belly or hips. Annie has a strict meal plan, which includes eating foods rich in protein and low in sugar. When she doesn’t have time to cook her own meals, Annie opts for a meal prep service, which delivers customized meals to her home. While Annie has her own inspirations in fitness, she’s become an influencer in her own right. People from all over the globe admire her transformation story, as well as pictures of the awesome physique that she’s built in this process of transformation. Annie Ramage struggled with anemia since she was 12. It wasn’t until 2017, at the age of 21, that she took full control of her life once again, becoming stronger, fitter, and healthier in the process. It was a long road to success, but for Annie, it was worth it.